Permafrost – soil that stays frozen year-round – comprises about one-quarter of the Northern Hemisphere’s land. For now. 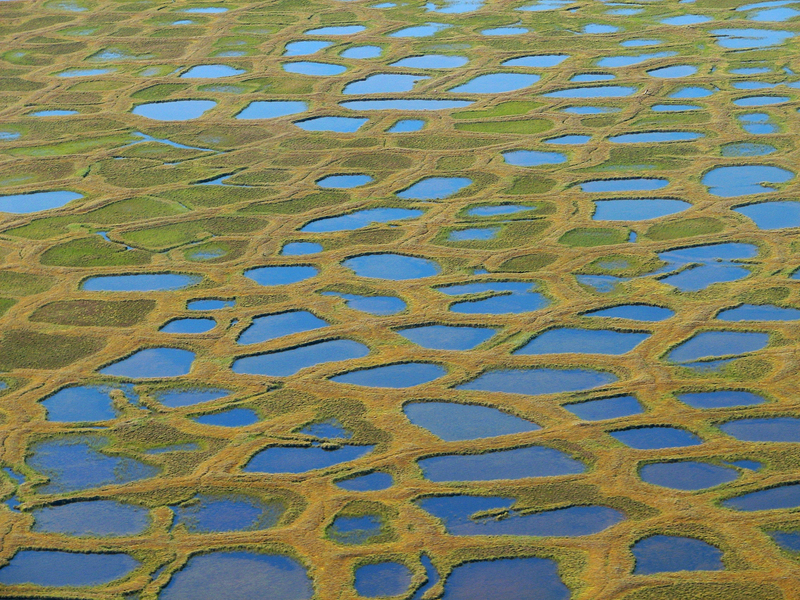 Climate changes are turning permafrost into mush over an increasing area. Besides creating soggy soil, this melting generates warming that drives further climate change. No one is sure, however, how much impact this feedback loop has. Finding the answer demands high-performance computing, advanced algorithms and, as it turns out, some unexpected interactions. That includes the intersecting careers of two Department of Energy Computational Science Graduate Fellowship (DOE CSGF) recipients. The first was Glenn Hammond, now a computational geohydrologist at Sandia National Laboratories in New Mexico. As a graduate student, Hammond served a 1999 practicum with Peter Lichtner, a multiphase flow and reactive-transport modeling expert at Los Alamos National Laboratory. Hammond’s project involved building PFLOTRAN, a parallel-processing version of the existing FLOTRAN code that models how groundwater reacts with the soil and rock it flows through. Parallel processing parcels pieces of a computational task out to multiple computer processors that work simultaneously to quickly complete the job. Later, Richard Mills, who recently joined Intel Corp. after working as a computational scientist at Oak Ridge National Laboratory, spent his 2003 DOE CSGF practicum working under Lichtner to continue Hammond’s PFLOTRAN work. Mills implemented the code’s initial solver for groundwater flow. Many other scientists also contributed to PFLOTRAN over the years and, Mills says, “it turned into a fairly comprehensive code for modeling surface and subsurface hydrology.” In other words, it simulates water and the associated biogeochemical reactions that occur as it moves over or through soil. Although the code is designed to run in parallel on high-performance computers, Mills says the team wanted to make PFLOTRAN flexible enough to run on both the biggest supercomputers and on laptops. Hammond and Mills grew up in a C and C++ coding world, but most scientists who study hydrology use an older language, FORTRAN. The two former fellows followed that tradition for PFLOTRAN but enlisted modern FORTRAN features to add a degree of object-oriented structure more characteristic of C or C++ code. More about PFLOTRAN, a parallel-processing code that models groundwater flows.